(29-08-2016, 07:53 PM)MrPr1993 Wrote: Wasn't sure what to do with the Xs, so I moved them all under the lifebar. Wasn't sure what to do with the Xs, so I moved them all under the lifebar. It's the PrintStr/802D6554 call at 802E3758/9E758. Have you disassembled the ROM? It is actually much easier to figure this stuff out than you think. Quote: Have you disassembled the ROM? It is actually much easier to figure this stuff out than you think. Come to think of it, I haven't I haven't figure out how to disassemble it. Have you disassembled the ROM? It is actually much easier to figure this stuff out than you think. Dang! How long was I gone? I would still need some tips about the hacking. I happen to have a skype, and I am lookin' for someone to give me a hand on the model replaceing, if anyone has time. Thanks. 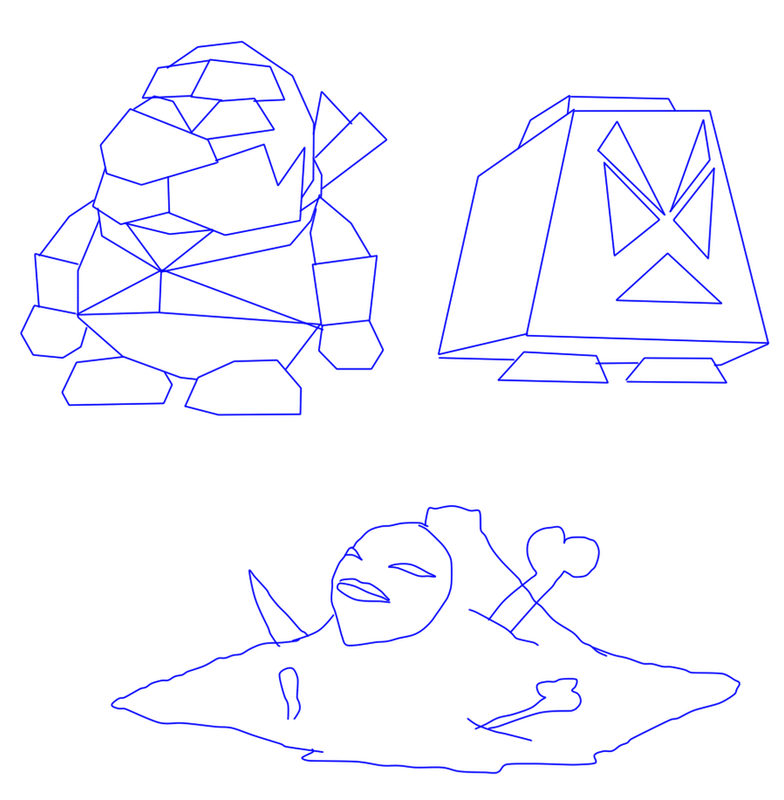 As for anything else, I made these rushed-up concept art for enemies. Really dunno why I made these but, eh. 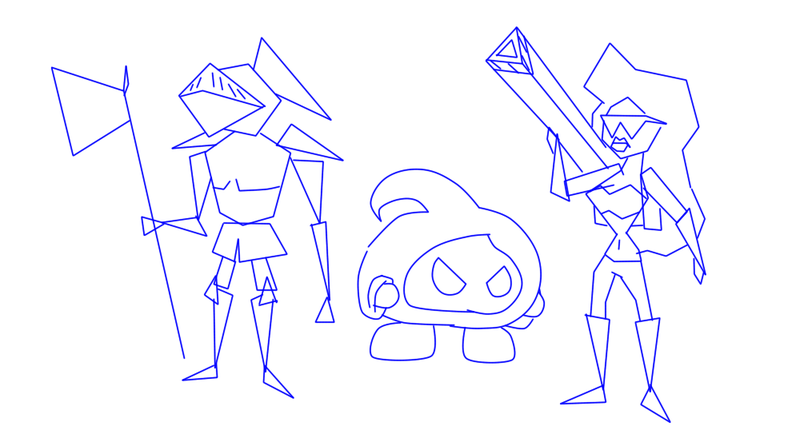 A haunted armor, a goomba-ripoff, and a terminator-lady with bazooka. And pictured how they'll look in low-poly. If I were to be good enough, I would make the haunted armor enemy wake up and attack the player; while other non-haunted armors would contain items instead. Another set of rushed-up concepts. Only info I have is that the guy on top left is a pilot who goes around telling tips to the player, the thing on the top right is a weight who chases people to rush and crush em', and below is a blob monster with a mask. 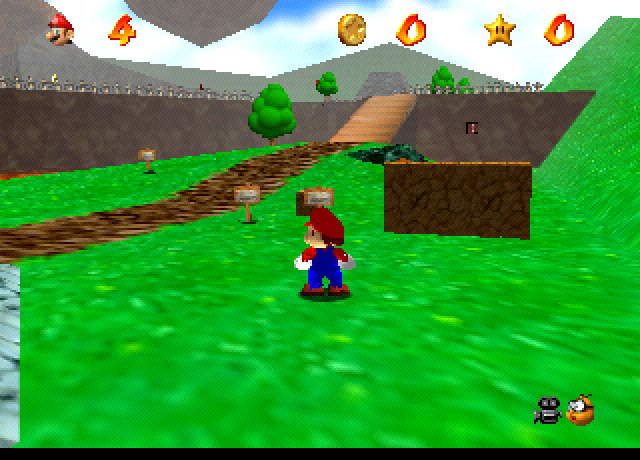 Least I could do is make models and sprites and textures, but dunno how to actually import them. Only know how to import levels. And my time's limited, and I need more hands to help me with this project. Maybe I could also do something for you in return! If anyone wants to be interested, lemme know! You may contact me on Discord (I'm always active there) to lemme know! 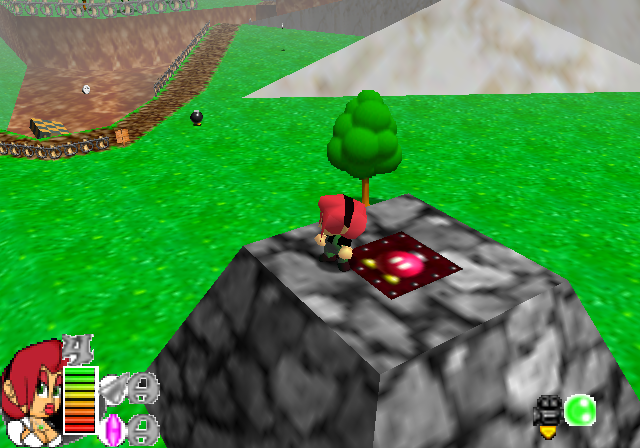 The goomba "ripoff" concept can be easily imported by being divided in 2 models and importing it in the game. You can also see one of kazes tutorials where he teaches how to import custom animations.